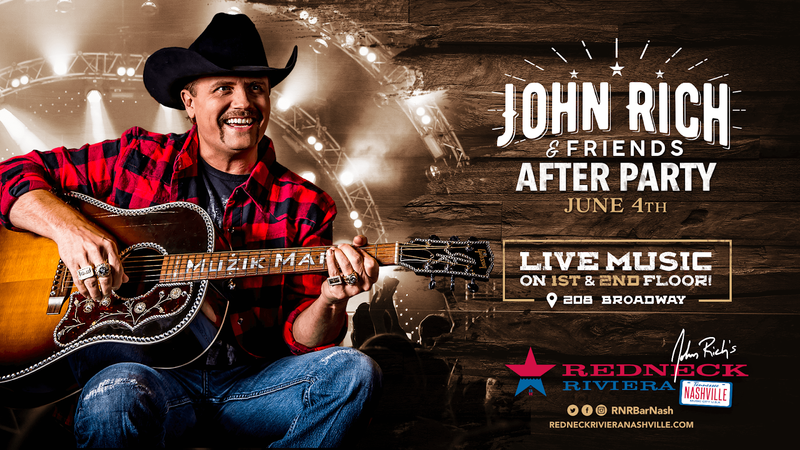 John Rich Announces Music City Gives Back After Party at Redneck Riviera! John Rich will be holding an after party on Monday, June 4th following the "Music City Gives Back" concert at Redneck Riviera. John Rich and friends to take the stage!